This is a delicious salad with many possibilities! The following recipe is how we served it at Adrian’s Boutique’s 2012 Spring Garden Party with options following the recipe. 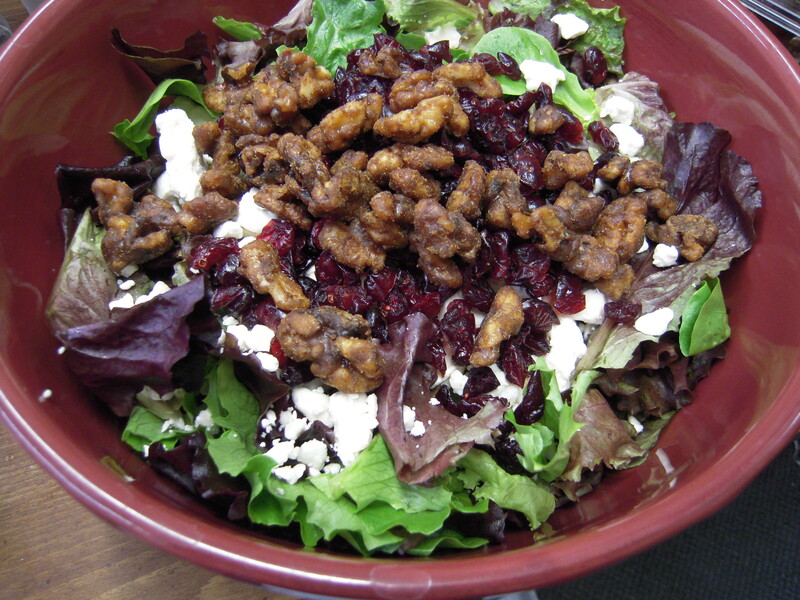 Combine spinach, feta cheese, walnuts & Craisins in a large bowl. Immediately before serving, toss with Poppyseed Dressing. Personalize this recipe…use other fruits in the place of Craisins.